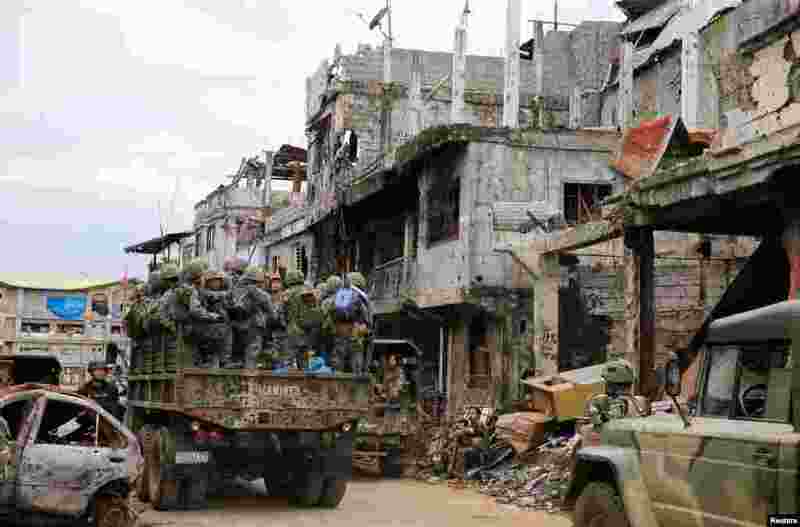 1 A military truck full of government soldiers move past damaged houses and buildings as troops continue clearing operations against the pro-IS militant group which seized Mapandi district in Marawi city, southern Philippines. 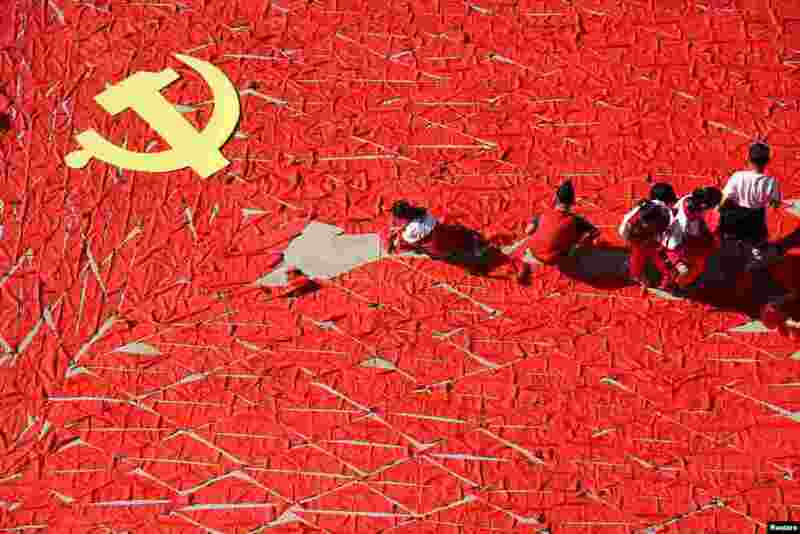 2 Students use red scarves to make a flag of the Communist Party of China, ahead of the 19th National Congress of the Communist Party, at a primary school in Linyi, Shandong province. 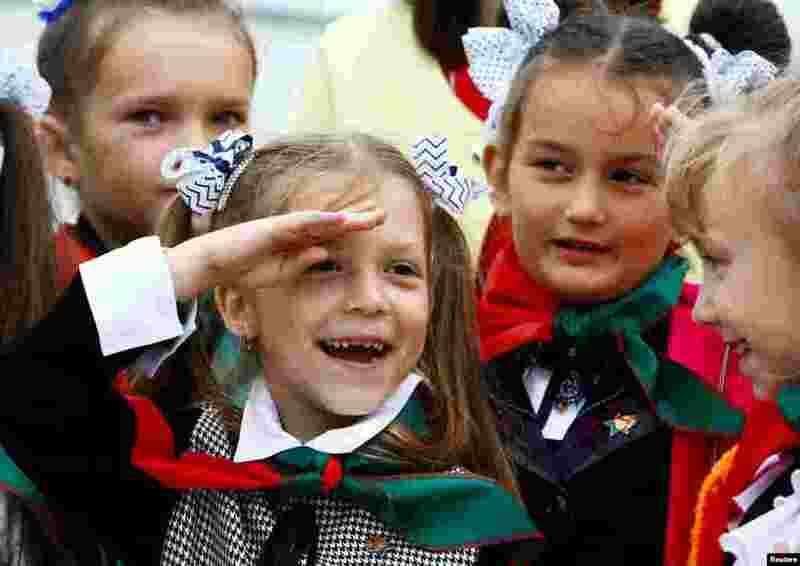 3 A Belarusian schoolgirl salutes during celebrations commemorating the 27th anniversary of the country's Young Pioneer movement in Minsk. 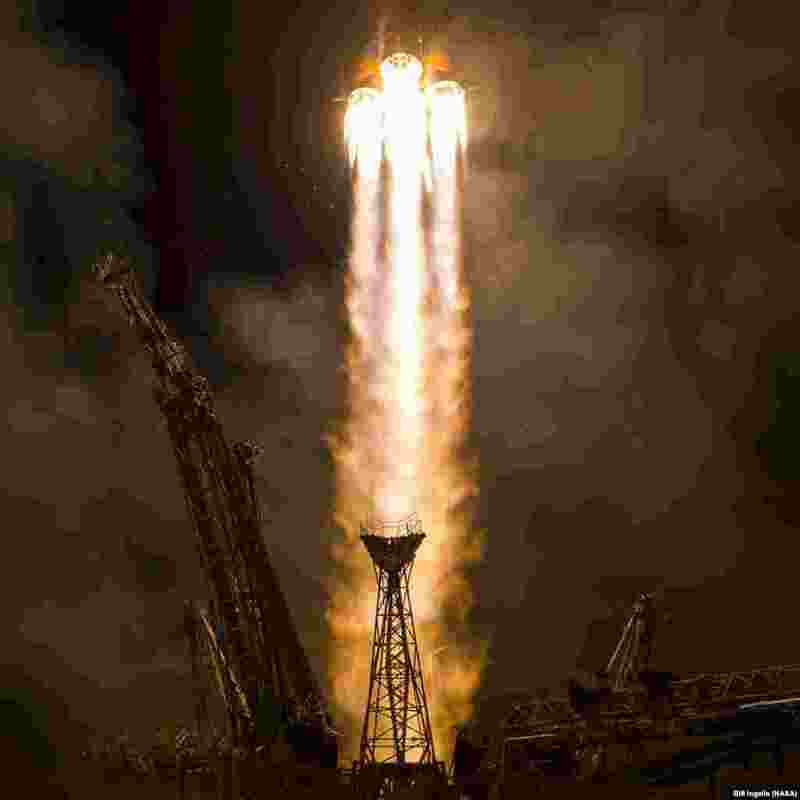 4 The Soyuz MS-06 spacecraft launches from the Baikonur Cosmodrome in Kazakhstan with Expedition 53 crewmembers Joe Acaba of NASA, Alexander Misurkin of Roscosmos, and Mark Vande Hei of NASA.